Tivoli Oriente Lisboa Hotel is an upscale modern retreat where sophisticated leisure and ultimate convenience infuses adventure in Lisbon. Unforgettable stays start with a privileged location in Parque das Nações, the city’s gleaming hub for urban renewal, just ﬁve minutes from the airport and near the highway for easy access to Sintra and Cascais. Whether checking in for work or fun, Tivoli Oriente’s cosmopolitan offerings promise pampered and easeful awakenings. 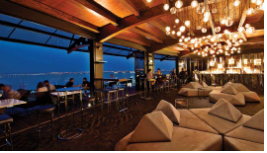 Take the elevator up to Sky Bar, where enticing cocktails and sushi meet 360-degree city and river views. 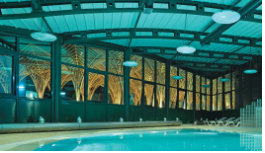 Loosen up in the heated indoor swimming pool, Jacuzzi or freshly refurbished ﬁtness centre. Start days with a buffet breakfast on a terrace above the city or enjoy satiating dinners at our signature steakhouse. Beautifully designed facilities and a range of options for relaxation will tempt you to linger even longer in Lisbon. 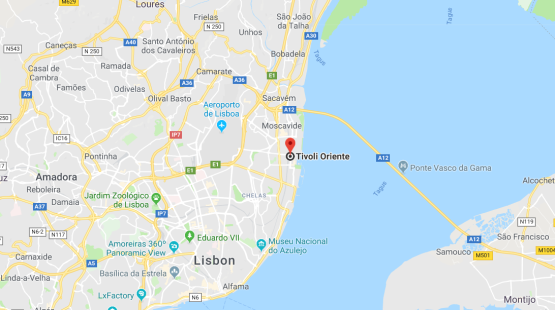 Tivoli Oriente Lisboa Hotel is located in Lisbon’s riverfront district Parque das Nações just a six-minute drive from Lisbon Airport. Parque das Nações was the home of Expo ’98 and today is known for Europe’s largest bridge, second-largest aquarium and many more highlights.